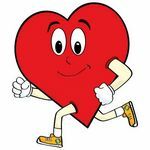 Any disease that affects the normal functioning of blood vessels vascular – arteries, veins) and the heart (cardio) are categorized under cardiovascular diseases. 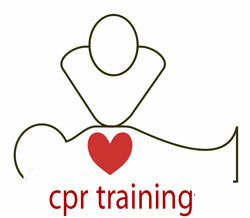 May be you have already come across a quote: “As the arteries grow hard, Heart grows soft”. The key cause of majority of the cases of Cardiovascular disease is deposition of fat on the inner lining of arteries (atheroma) leading to hardening of the arteries. Due to atheroma deposition smooth muscle cells migrate from the muscular layer of the vessel and cover the fatty streak. When the muscle cells continue to divide, benign smooth muscle tumors, called atheromas, are present (i.e. atherosclerosis). The presence of plaque can interfere with circulation. Angina, heart attack (Myocardial Infarction), aneurysm, hypertension, stroke, atherosclerosis, Peripheral Vascular Disease (PVD) are some of the common cardiovascular diseases. Genetic factors that predispose an individual to cardiovascular disease include family history of heart attack under age 55, male gender, and ethnicity. However, people with one or more of these risk factors need not despair. It only means that they need to pay particular attention to the following guidelines for heart-healthy lifestyle. 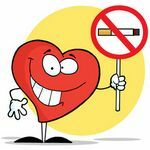 Smoking or using tobacco is one of the most significant risk factors for developing cardiovascular disease. Hypertension is recognized as a major contributor to cardiovascular disease. When a person smokes, the drug nicotine, present in cigarette smoke, enters the bloodstream. Nicotine causes the arterioles to constrict and the blood pressure to rise. Restricted blood ﬂow and cold hands are associated with smoking in most people. Cigarette smoke also contains carbon monoxide, and hemoglobin combines preferentially and non-reversibly with carbonmonoxide. Therefore, the presence of carbon monoxide lowers the oxygen-carrying capacity of the blood, and the heart must pump harder to propel the blood through the lungs. Smoking also damages the arterial wall and accelerates the formation of atherosclerosis and plaque. The price you pay for ignoring the Statutory warning “Smoking is injurious to health” is unimaginably immense. Read the reasons why smoking is regarded as a costly choice. Stimulants, such as cocaine and amphetamines, can cause an irregular heartbeat and lead to heart attacks in people who are using drugs even for the ﬁrst time. Intravenous drug use may also result in a cerebral blood clot, stroke and infections of heart valve. Too much alcohol can destroy just about every organ in the body, the heart included. 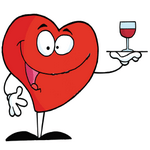 But investigators have discovered that people who take an occasional drink have a 20% lower risk of heart disease than do teetotalers (mild consumption of alcohol increases HDL or good cholesterol level in the body). 2 to 4 drinks a week is the recommended limit for men; 1 to 3 drinks is the recommendation for women. Hypertension also occurs more often in persons who are more than 20% above the recommended weight for their height (calculate your BMI). Because more tissue requires servicing, the heart must send extra blood out under greater pressure in those who are overweight. It may be very difﬁcult to lose weight once it is gained, and therefore weight control should be a lifelong endeavor. Even a slight decrease in weight can bring a reduction in hypertension. A 4 – 5 kilogram weight loss doubles the chance that blood pressure can be normalized without drugs. Avoid sedentary lifestyle. It was once thought that a low-salt diet could protect against cardiovascular disease, and that still may be true in certain persons. Theoretically, hypertension occurs because the more salty the blood, the greater the osmotic pressure and the higher the water content. Adults should eat no more than 6 g (about a teaspoon) of salt a day (lower for children). However, in recent years, the emphasis has switched to a diet low in saturated fats and cholesterol as protective against cardiovascular disease. Cholesterol is ferried in the blood by two types of plasma lipoproteins, called LDL (low-density lipoprotein) and HDL (high-density lipoprotein). LDL (called bad lipoprotein) takes cholesterol from the liver to the tissues, and HDL (called good lipoprotein) transports cholesterol out of the tissues to the liver. When the LDL level in the blood is abnormally high or the HDL level is abnormally low, cholesterol accumulates in arterial walls. This leads to atherosclerosis. Avoid high intake of saturated fats (red meat, dairy products, coconut oil) and trans fats (deep-fried fast foods, bakery products, margarine, crackers – Look at the label for the term “partially hydrogenated” to avoid trans fat). Embrace omega-3 fatty acids (Polyunsaturated fatty acid – PUFA) abundant in fishes and are present in smaller amounts in flaxseed oil (Fab Falxseed Mask for Skincare), walnut oil, soybean oil and canola oil. Evidences suggest a role for antioxidant vitamins (A, E, and C) in the prevention of cardiovascular disease. Antioxidants protect the body from free radicals that may damage HDL cholesterol through oxidation or damage the lining of an artery, leading to a blood clot that can block the vessel. 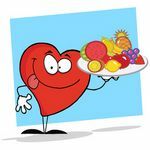 Nutritionists believe that consuming at least ﬁve servings of fruit and vegetables a day may protect against cardiovascular disease as they have antioxidant values. People who exercise are less apt to have cardiovascular disease. One study found that moderately active men who spent an average of 48 minutes a day on a leisure-time activity such as gardening, bowling, or dancing had 1/3 fewer heart attacks than their peers who spent an average of only 16 minutes each day on such activities. Exercise helps keep weight under control, may help minimize stress, and reduces hypertension. The heart beats faster when exercising, but exercise slowly increases the heart’s capacity. This means that the heart can beat more slowly when we are at rest and still do the same amount of work. A physician recommends that his cardiovascular patients walk for one hour, three times a week. In addition, they are to practice meditation and yoga-like stretching and breathing exercises to reduce stress. You cannot store up the benefits of physical activity. You need to do it regularly. A rigid artery of smaller diameter contributes to hypertension and cardiovascular disease. Regular blood pressure screening should be carried out since childhood. It is recommended that everyone know his or her blood cholesterol level. Individuals with a high blood cholesterol level (240mg/100 ml) should be further tested to determine their LDL cholesterol level. The LDL cholesterol level, together with other risk factors such as age, family history, general health, and whether the patient smokes, determine who needs dietary therapy to lower their LDL. Cholesterol-lowering drugs are reserved for high risk patients. Also, screening for Diabetes and Kidney disease is important as they are quiet important contributors of cardiovascular disease.